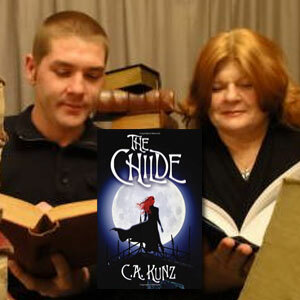 In which Carol and Adam Kunz, the mother/son team behind the new young adult dark fantasy novel The Childe, chat with The Genre Traveler about the process they went through in writing the book. Along the way we discuss writing with a parent and/or child, the fun parts of writing, bringing in parts of your life to give characters depth, loving and loving to hate characters, the challenges of writing the first novel in a series compared to the rest of the series and more. This fictional account of an anthropological study of a group on native peoples living in the Napa Valley in the distant, post-Industrial age, included a cassette with audio recordings of the Kesh. You can get sample songs and purchase the CD composed by Todd Barton at www.ursulakleguin.com/ACH/ToddBarton-KeshMusic.html. After suffering a near-fatal heart attack, CEO Tyler Leto finds his sleep plagued with identical nightmares, his psyche tortured in a dark world that he’s convinced is Hell. Every night, Tyler dreams. Every night, he’s surrounded by darkness. Every night, a mysterious figure haunts his dreams. The figure will not relieve Tyler of his nightmares until Tyler performs one very important task. But in order to complete the task. Tyler must relinquish what remains of his immortal soul. He must decide and do it quickly, because every morning, Tyler wakes up more exhausted than the day before. Every morning, Tyler is closer to death. To hear the soundtrack, visit www.kenbroskyfiction.com/novels.html. In the early part of his career, Langella was best known for playing the title role in the 1977 Broadway production of Dracula. Despite his initial misgivings about continuing to play the role, he was persuaded to star opposite Laurence Olivier in the subsequent film version directed by John Badham. 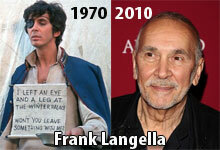 Although a familiar fact to non-genre fans, Langella has played quite a few genre roles in his career, including Sphinx (1981), Sherlock Holmes (TV 1981), Masters of the Universe (1987), Star Trek: Deep Space Nine (TV series, uncredited as Minister Jaro), Brainscan (1994), Cutthroat Island (1995), Small Soldiers (1998), The Ninth Gate (1999), Jason and the Argonauts (TV 2000), 10.5: Apocalypse (TV 2006), Superman Returns (2006) and The Box (2009). My mom is an artist and did the cover art for my upcoming book, Public Speaking Super Powers. You can see samples of her work at her website www.ddelgadofineart.com.